Below is reprinted with Mark Coker’s permission his 17 June post on the where, when, why and how of metadata-only preorders. For anyone intending to publish with Smashwords, it’s well worth reading. Ebook preorders are the single most important new tool for indie authors who want to improve the visibility, desirability and sales of their new releases. Over the last 12 months, ebooks born as preorders at Smashwords earned more than triple the earnings of books that were simply uploaded the day of release. Ever since we announced preorder distribution two years ago for iBooks, Barnes & Noble and Kobo, I’ve been advocating preorders as an essential best practice for all indies. Yet despite the amazing power of preorders, and despite the copious evidence that preorders can work miracles, most indie authors don’t use them today. Fewer than 10 percent of books released at Smashwords over the last 12 months were released as preorders. Despite the poor adoption, over the last 12 months Smashwords books born as preorders accounted for 7 of our top 10 bestsellers and 67% of our top 200 bestsellers. When you consider how such a small fraction of books accounted for an outsize percentage of bestsellers, you begin to realize something special is happening here. Why the dismal adoption of ebook preorders, a best practice that large traditional book publishers have embraced as a no-brainer for years? Aside from the normal education that’s necessary (preorders, after all, are still a relatively new concept and option for indies), I think the primary reason for the poor adoption has been that until now, Smashwords required authors to upload their full and final manuscript before they could establish a preorder. This requirement created a dilemma for our authors. If the book’s ready for release today, why should an author hold back the release for three or six months to gain the full advantage of a preorder? You can’t blame these authors for deciding to release their book immediately, the day it’s ready for readers. With today’s announcement, our 100,000 authors and publishers can have their cake and eat it too. Preorders enable more effective advance marketing – Most authors are communicating directly with their readers over social media as they write their next book. An ebook preorder allows the author to capture the reader’s order at the moment they have the reader’s greatest attention and interest. Fast track to the bestseller lists – At iBooks, Barnes & Noble and Kobo, all orders you accumulate during the preorder period credit toward your first day’s sales rank. In other words, you have the ability to concentrate up to 12 months of book sales into a single day for maximum charting potential. Every author wants a high sales rank on their release day, because the higher rank increases the visibility, discoverability and desirability of the book, which then leads to more sales. A note about Amazon: As I mention in the other post, Amazon treats preorders differently. They limit preoders to a three-month runway, and they don’t credit accumulated sales toward the first day’s sales rank. The lack of day one credit means preorders will actually cannibalize your sales rank at Amazon. There’s more to it than that, so check out the other post for more details]. At Smashwords, a key contributing factor to the two benefits above is the length of preorder runway. The longer your book is available for preorder, the more time you have to market the book in advance and accumulate orders. THIS is why assetless preorders are so critical to a successful book launch. Assetless preorders enable a longer preorder runway because the author or publisher can establish the preorder earlier. Look at your publishing schedule for the next 12 months. Plan to get all firm projects up as an assetless preorder ASAP. Exercise discipline when setting release dates. Some authors meet all their deadlines with the precision and reliability of a Swiss watch. Other authors might require more flexibility on scheduling. Be honest with yourself about which author you are. Either way, you know you want to maximize your runway. Understand that when you establish a preorder, you’re making a commitment to your readers, to Smashwords and our retailers that you will deliver the book on time. For this reason, if you’re not entirely certain if the book will be ready by your target release date, give yourself a buffer. For example, if you think your book will be ready in six months but you’re not entirely confident, set a release date that’s eight or nine months out. In other words, add cushion to your release date so you have some extra flexibility. If you finish early, great! You can change the release date of your book from the Smashwords Dashboard and release earlier. Readers will never complain if you decide to release your book early, but they may complain (because they love you so much) if you delay the release. If you need to delay the release of your book, no problem. We make it easy for you to adjust your release date. Unlike a certain retailer who shall go unnamed, if you miss your 10-day deadline, we will not rain fire and brimstone upon your head, nor will we banish you from future preorder eligibility. Instead, we’ll send you polite email reminders that you should deliver your book before it’s too late. And if you ignore our multiple helpful reminders, we will automatically adjust the release date of your book because we don’t want your preorder to blow up. A blown preorder is a cancelled preorder, which would result not only in lost sales but also disappointed readers. All great missions start with a plan. Read my companion blog post, How to Reach More Readers with Ebook Preorders to learn preorder best practices. The post will help you develop your preorder strategy. The tips I share there are proven and effective, and have helped numerous Smashwords authors use preorders for maximum effect. Once you have your release schedule planned, click to the Publish page at Smashwords. In Step 1 of the publish process, simply click “Make it a preorder.” If your final manuscript is ready for upload, upload it as usual. If your book’s not finished yet, or even if you haven’t started it yet, no problem. Simply select the “I will upload my final formatted manuscript later” option to utilize our new assetless preorder feature. If you’re concerned the title, description or categorization of the book might change later once you finish the book, no problem! You can change it later without harming your preorder listing. You can choose a release date up to 12 months out. iBooks supports preorders up to 12 months, and B&N and Kobo go a little shorter. You can establish the preorder with or without a cover. Although a preorder with a cover will attract more orders, some Smashwords authors prefer to establish their assetless preorder without a cover at first so they can maximize the runway, and then they’ll do the cover reveal later as a marketing event. Once your assetless preorder is established, you can upload the cover later by clicking to Settings in your Dashboard. I don’t recommend temporary covers, especially ones that have “Temporary cover” slapped on them. It’s better to have no cover at all than to show readers a shoddy temporary cover. Once the preorder is up, attach the ISBN with your Dashboard’s ISBN Manager tool. If the book is part of a series, even if it’s book one in a new series, attach it to a series with your Dashboard’s Series Manager tool. Series Manager improves the discoverability of series books at retailers. Your preorder is up at Smashwords, congrats! Once it’s up at Smashwords, our vetting team will review it and approve it for distribution. Preorders receive priority review and distribution. Preorders often appear same-day at iBooks, and within a couple days at B&N and Kobo. Start your marketing (oh wait, no, get to work writing and editing!) as soon as the listings appear. Again, check out How to Reach More Readers with Ebook Preorders for a bunch of ideas, all free to implement, that will help you make your preorder-enabled release more successful. I share some super-simple ideas (like updating the backmatter of your other books to promote the preorder) that don’t take much time but will reap many rewards. Okay, now get back to writing! Preorder sales tracking. In your Dashboard’s Daily Sales report, you’ll find next-day reports of your preorder accumulation at iBooks. Currently, iBooks is the only Smashwords retailer that reports preorder accumulation numbers in advance of the book’s release. Nevertheless, the iBooks numbers will give you a good sense of how you’re doing. Deadlines deadlines. 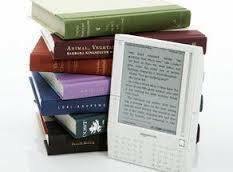 Your final formatted manuscript will be due to Smashwords at least ten days in advance of your on sale date. Earlier is always better. If you need to delay the release of your book, no problem. Click to your Dashboard, then click to Settings and move the date out. If you do change the date, do it at least 10 days in advance of the currently scheduled release date. By the same token, if you want to release earlier, we recommend you upload your final formatted manuscript at least 10 days in advance of your new release date. Get the next preorder up. It’s always a good idea to have at least one preorder out there working its magic for you as you write the next book. Before you upload your final manuscript, ask yourself if you’re ready to get your next preorder up for the next book. If so, and if the release date will be within the next 12 months, get the new preorder up now, before you upload the final manuscript of the current project, even if you haven’t started the future project yet. This way, you can start advertising your next preorder in the backmatter of your current new release the moment it lands in your readers’ hands. You always want to be thinking of your next release, and using each new book to drive preorders to the next book. Congratulations! You finished the book on schedule! To upload your final manuscript, simply click to the Smashwords Dashboard and click “Upload new version.” As mentioned above, you’ll upload your final manuscript to Smashwords at least 10 days in advance of your release date. This new assetless preorder capability represents over a year of intense software development here at Smashwords, and over 18 months of private beta testing in which nearly 300 Smashwords authors and publishers tested early versions of the capability. I’m grateful to these authors and publishers because their immediate success with assetless preorders inspired me and our engineering team to invest the significant time and financial resources necessary to turn this into a capability we can offer to every Smashwords author. It was certainly our most ambitious – and most complex – project since the launch of Smashwords. Thanks also goes to our retail partners iBooks, Barnes & Noble and Kobo for opening up their systems to allow Smashwords authors and publishers to deliver these preorders. And a special thanks to iBooks in particular. We did our first assetless preorder with iBooks almost two years ago, and from that point forward I was bitten and smitten by the bug. Thanks also to every author and publisher who distributes with Smashwords, because through our small commission on sales (10% of list) you are directly financing our mission to bring professional-grade publishing tools like this to the entire indie author community. Last but not least, I want to thank the men and women of the Smashwords engineering team. These awesome software developer magician wizards turn my crazy ideas into reality. Like everyone at Smashwords, they dedicate their every day to creating exciting new opportunities for our authors, publishers and retailers. This project required a comprehensive revamp to our backend systems, and as a result our systems are more robust and future-ready than ever before. For us, it’s all very exciting because we’re not done creating tools that will give our authors and publishers more advantages in the marketplace. More innovations to come! Our preorder systems incorporate a number of features designed to prevent the worst case nightmare of our retail partners – the author or publisher failing to deliver the book on time. Such a failure to deliver would cause the preorder to blow up, resulting in lost sales and disappointed customers. A blow up creates grief for our retailers and their customers, not to mention our authors. With automated reminders and other fail safes, our engineers designed systems to protect the mutual interests of our retailers, authors and our authors’ readers. As you might imagine, we’re simultaneously excited and terrified to offer this new tool to 100,000 authors and publishers all at once. Since these systems are still so new, we consider this the next phase of our beta. We look forward to hearing your feedback and suggestions for how we can make this exciting feature even better in the future! We also look forward to your bug reports. If you discover a bug, please report it to our service team by clicking either the “?” at the top of any Smashwords page, or the “Support” link at the bottom of every page. So without further ado, please grab your calendar now and start planning your release schedule for the next 12 months! This entry was posted in advice for writers, Danielle De Valera, getting published, indie publishing, manuscript assessors, metadataless preorders, Smashwords, Smashwords preorders, the pros and cons of preorders and tagged about preorders, advice for authors, indie authors, indie publishers, indie publishing, indie writers, metadataless preorders, Patrick de Valera, preorders, Smashwords preorders, the pros and cons of preorders. Bookmark the permalink.